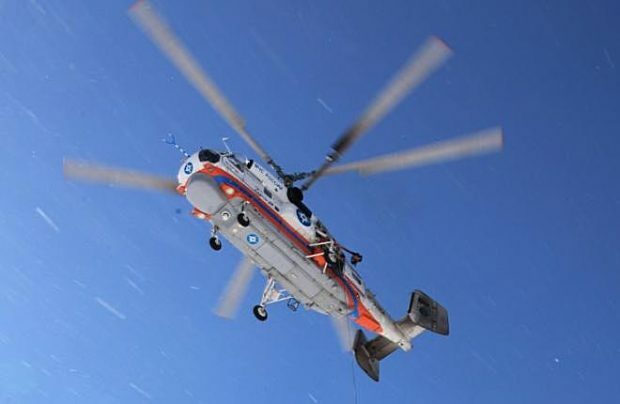 Russian rotorcraft monopoly Russian Helicopters has announced plans to upgrade the Kamov Ka-32A11BC civil coaxial helicopter, the only Russian-made rotorcraft that holds European Aviation Safety Agency (EASA) type certification. The modernisation plan includes a new engine and advanced avionics, Nikolay Titov, project manager for Russian Helicopters, revealed at the Helicopter Forum-2018 in Kazan. The Ka-32A11BC, which is currently powered by TV3-117VMA engines, has earned its fame for successful fire-fighting missions and wood logging capabilities, as well as for transporting cargo in the cabin or via an external sling. “The modernisation programme will include new fire fighting equipment, the new VK2500PS-02 engine option, new avionics and, after additional research, new main rotor blades,” Titov ventured. The upgrades will result in a 300 kg increase in MTOW, to 11,300 kg, and will also increase the external load lifting capability to 5,300 kg against the current 5,000. The new 4,000-litre fire fighting equipment will be available in 2019, whilst the rest of the upgrades are due to be completed in 2020, including the addition of new composite main rotor blades. “New helicopters will probably be produced in the upgraded version after 2020. Still, our preliminary calculations show that the cost will not be too much higher than for the current version of the Ka-32A11BC,” Titov added. The Ka-32A11BC multi-role machine is the only Russian-produced helicopter that holds EASA type certification. It operates a range of search and rescue, fire-fighting, medevac and construction missions in 30 countries around the globe and, amongst others, is still being delivered to Canada, Spain, Switzerland, China, South Korea and Indonesia. 2018’s plans targeted seven further deliveries, including to a first-time Turkish customer. South Korea, one of the largest operators of the Ka-32A11BC, has meanwhile announced further interest in up to 21 helicopters for its forestry and EMERCOM departments by 2025, but insists that the entire fleet of the type should be re-engined from the TV3-117VMA to the VK-2500. EASA issued a standard EASA.IM.R.133 certificate for the Ka-32A11BC in 2009 that allows any company to commercially operate the helicopter. In 2008, the Ka-32A11BC was certified in China, Indonesia and South Korea, having achieved Mexican certification in 2005. The helicopter also received a supplement to the airworthiness certificate in 2006 in Canada, which allowed it to carry corporate passengers (the Canadian certificate itself was issued in 1998). The Ka-32A11BC helicopter was granted a type certificate in Brazil in 2011.